Ghosts and Witches and Creatures of Fright! ???? Fly Over on a Broom or Float like a Ghost to La Favela Bali Halloween Party. We’ve got the Booze, you Bring the Boo’s. You dare to try our special shots of Virgin Blood and Brain Juice? Let those scary shots makes you dance to the hypnotizing music from our DJ. Free Welcome Drink for all guests dressed-up! What are you waiting for? Get your scariest costume ready, cause history are about be made. 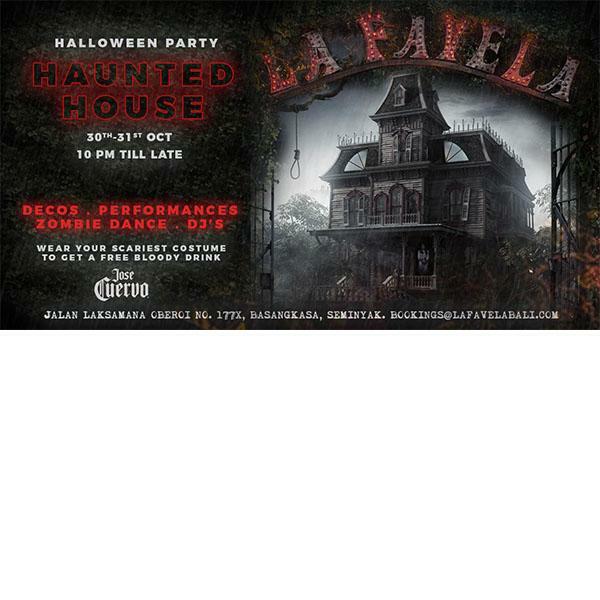 This Halloween face your darkest fears as you step inside the spectacular twisted decor of La Favela Bali Haunted House. Zombies, vampires and Frankenstein will all be there to make sure you have the scariest night of the year!